Google’s announcement that Penguin 4.0 is in real time supports the contention that the impact will be felt very quickly. This is actually good news for website owners and SEO agencies that are able to make positive changes, as Google is likely to crawl and index pages sooner than before. Despite this, early observations haven’t shown any widespread ranking changes as of yet, something we’ll be exploring below. Real-time implementation of Penguin 4.0 suggests that websites that don’t conform to Google’s requirements are likely to suffer the consequences quite swiftly. The overall idea is to create immediate feedback so that websites will be able to respond accordingly. All in all, this puts more pressure on everyone to keep up and, ideally, those who do will be rewarded for their efforts. What are some of the specific implications of Penguin 4.0? Google has long been trying to crack down on spam. In fact, if we go back to the original release of Penguin in 2012, Google specifically said that this update was designed to target spam. For at least the last four years, then, Google has been actively focusing its energies on this task. At the same time, it’s been trying to reassure people that it isn’t looking to penalize entire websites who are inadvertently spammed. In other words, the goal is to get rid of spam, penalize black hat SEO tactics while giving honest website owners a chance to clean up their sites without being unduly harmed. With this update, Google has announced that it’s going to be focusing on granularity. In other words, if someone spams your site with a bad link, that particular page may be penalized rather than your entire site. This is apparently an effort to limit spam while not punishing website owners for behavior that they can’t control. At the same time, if a website is consistently spammed, this could still have an adverse effect on the entire site. Because Penguin 4.0 is part of the algorithm and will be operating in real time, with no future updates, it will be more difficult than ever to know exactly when and if your site has been impacted. The fact that Google has explicitly stated that the update is granular means that you might not notice penalties unless you’re carefully monitoring all of your pages. One of the implications of this is that it’s going to be more important than ever to ensure that your backlinks are coming from trusted sources. Auditing your links on a regular basis is essential so that you aren’t caught off guard by spammy links. You can or hire an expert to do it on your behalf. When you’ve found potentially harmful links, you can still use the disavow backlinks process. Google cautions, however, that this is an advanced tool that should be used carefully. Disavowing helpful links can be just as harmful as leaving bad links on your site. The overall message here is that you can get penalized almost immediately for bad links now but that if you clean up your site and disavow bad links, the penalties will be removed. This is, of course, in theory. You’re always much better off being proactive and avoiding bad links in the first place. 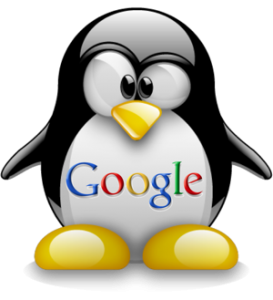 Although Penguin 4.0 was a major announcement that set off reverberations throughout the search engine world, so far the impact has not been widely felt. Search Engine Land reports that, as of September 27, the “impact seems minimal.” This does not, however, necessarily mean that more obvious changes won’t be visible in the future. There’s uncertainty about exactly whether Penguin 4.0 has been completely rolled out yet. In fact, some observers speculate that Google may have begun unrolling it prior to the announcement on September 23. The confusion over this lies with the fact that this is a real-time update, meaning that there’s no official schedule for rolling it out. Put another way, the update is being unrolled continuously. “Real-time” implies that it’s going to be more of a constant monitoring of pages rather than any drastic changes seen all at once. This is why we’re seeing the apparently contradictory observations that, on the one hand, the update will cause immediate changes and, on the other hand, no serious impact has been reported. The most logical explanation is that the update is causing immediate changes but they are subtle and ongoing. This does make it challenging for people to respond to the update. At the same time, it means there’s no reason to panic and worry about catastrophic penalties -except perhaps for websites engaged in underhanded SEO tactics. As noted, Penguin 4.0 is no surprise. The only thing we didn’t know was when Google would decide to finally release it. As of now, it appears that there won’t be the kind of dramatic search engine fluctuations often seen with Google updates. At the same time, website owners now have good reason to be more diligent than ever about monitoring the quality of their content and links.